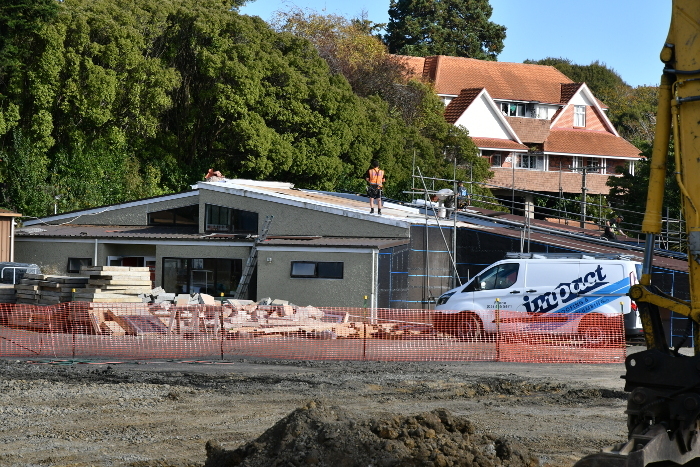 Things are progressing well on the construction of the Dunedin High Street Co-housing project. The site of the project was formally a Primary School and part of the old school buildings have been retained. One section of this has been reconfigured to create 3 apartments. The new apartments are being built to the Passive House standard, like all the other homes within the new development. Exterior cladding has been put on this week and the internal wall framing is up. With the compaction test completed and the official go ahead from the Geo Tech Engineers, the floor slab went down this week for the High Street Houses. View of the High Street Sites Before Groundwork started. Progress on the High Street site – foundation and floor slabs are down, the first 3 Units are ready for concrete next week. For the houses to be Passive House Certified, there are many standards they must meet. One of those is the thickness of the polystyrene that is used to insulation the floor of the houses. The thickness of the polystyrene is much greater than that of a standard build, which ensures greater energy efficiency. 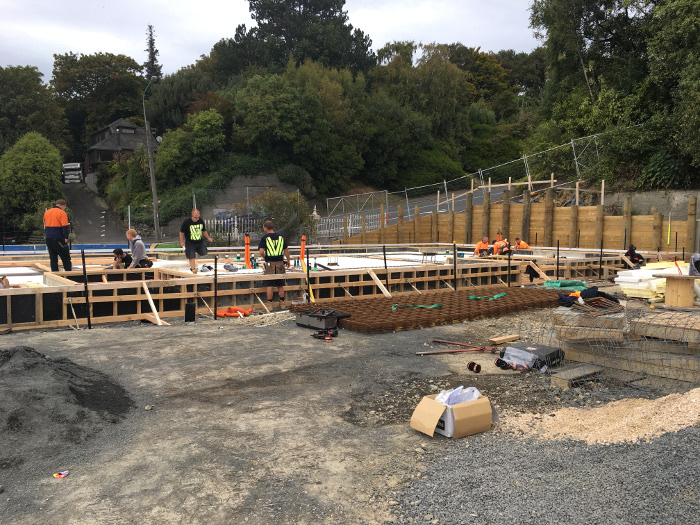 Follow our Facebook Page to stay up to date with progress on the construction of the Dunedin High Street Co-housing Passive House development.